TINY&mighty is a community dance project aiming to empower toddlers, first seeded from the births of my son Noah and motherhood. It has grown with us and for near three years I’ve run as a weekly class in Amsterdam for care group ‘Het Speelateljee’ and their carer, childrens’ rights activist Olga Middendorp. Workshops are also offered to parents and gastouders/care givers. For big tiny people to celebrate their physical body and instinctual nature through movement, voice and somatic play. We explore our senses, saying hello to Space, Rhythm and Touch and how all this can lead into our dance. Gathering attention in a group circle and directing into dynamic pathways helps keep a collective focus. 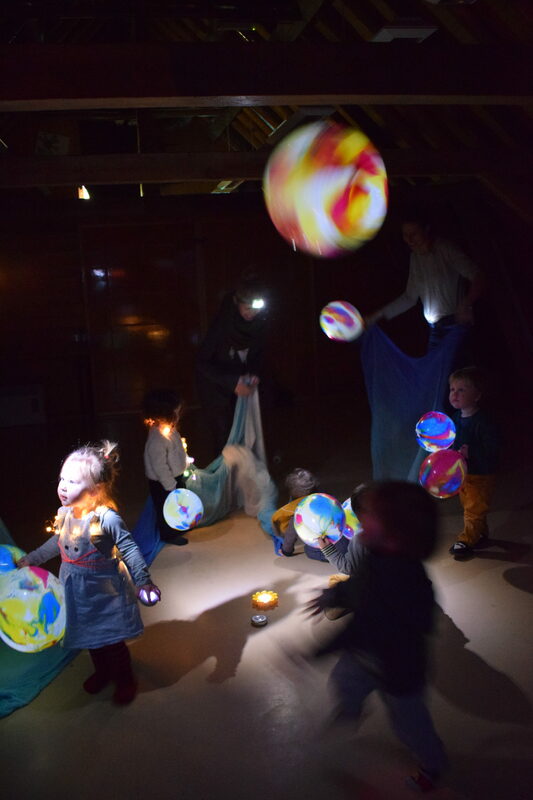 We end with the power of being seen – where the children are free to be performer or audience. TINY&mighty supports every child to feel at home in their body, play with autonomy and nourish group relationship through a dialogue of dance.